We're looking to create a pool of qualified artists or artist teams to develop proposals to create unique mini-golf holes for a 9-hole Mini Golf Course at the plaza. We're inviting artists in the Bay Area to submit two-dimensional plans, sketches/drawings, images, or renderings as proposals for the project. Artists/art groups will be selected to build one of four areas listed below, creating props and obstacles (e.g. tunnels, bridges, loops, etc.) and/or other sculptural elements on and around the hole. The artists/art groups is responsible for the construction, fabrication, and installation of the artwork. Letters of interest and qualifications from artists are sought in this RFP. You can also create a proposal for a single putting hole only instead of for the above-mentioned areas. 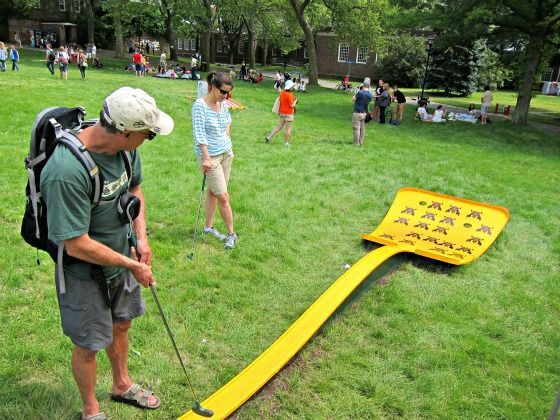 The theme for mini-golf holes is open to any family friendly concepts. 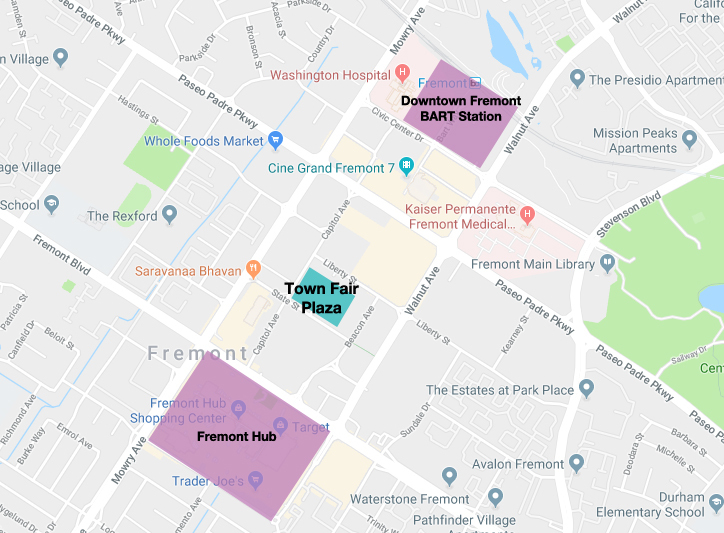 However, preferred ideas would include history or unique characteristics of the Fremont area. Cover page with artist name, address, work/home phone, cell phone, email, website URL. Every artist on a team must be included in this cover page. Three digital jpg images of previously completed artwork. Label each image as follows: Lastname_firstname_image1.jpg Lastname_firstname_image2.jpg, etc. Please write 1-3 sentences regarding your inspiration for the design on a separate attachment. 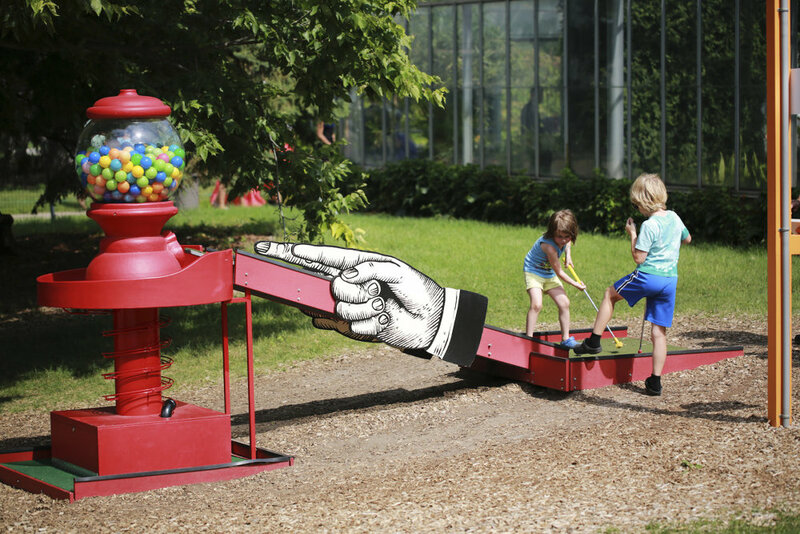 Town Fair Plaza's Mini Golf Course offers private sponsors the ability to reach a high volume of people of all ages through a family-fun, family-friendly engagement point. To learn how to sponsor a project at Town Fair Plaza, contact the Public Space Authority's Mark Arroyo at mark@publicspace.us.